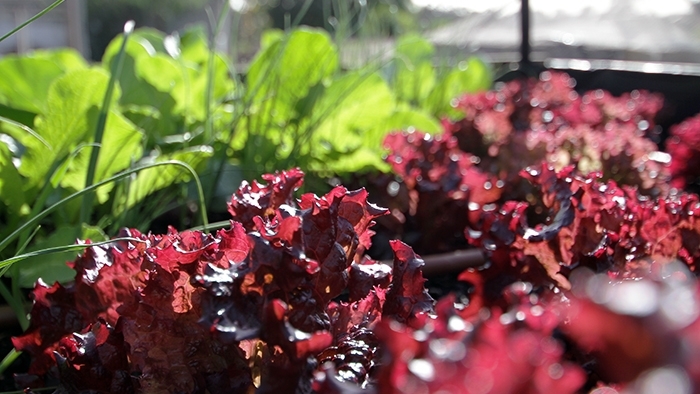 These local growers share some advice for getting your veggie patch thriving. A more sustainable, organic lifestyle is not as far away as many of us would believe. You can start taking small, smart steps now to do your part for the environment while cultivating fresh produce within easy reach. We had a chat to a couple of local growers keen on helping others become fellow green thumbs, challenging some of the obstacles surrounding growing within large urban sprawls. Laurel Coad is the Permaculture and Bushfood nursery manager at CERES Community Environment Park in Brunswick, Melbourne. Formed over 35 years ago by a group of community members who wanted to use public space for growing food, CERES is a a thriving local initiative supporting a more organic inner city community. We asked Laurel about some of the benefits of growing your own food. “Most of all produce is fresh and hasn’t travelled a long distance, you can grow organically, you’re in control of what you put on your food and in your soil, and you can grow what you like. Plus it’s very rewarding – people have lost touch with the fact that they can be in control of producing a large amount of their own food, even in small spaces. Feeling inspired, we also chatted to grower Eva Reid, an aquaponic specialist living in Melbourne. Focused on growing in small spaces, especially on balconies, rooftops and in shaded areas, Eva channels her creativity into helping out local businesses and community members.